It’s been a few months since I’ve written about Star Trek, but here we are, on the first Monday in June, and I’ve got something to write about. I’m still going through Deep Space Nine, and I’ve almost completed the second season (look for that in July! ), but I’m taking a slight detour today, over to YouTube and the land of fan films. I’ve been a huge fan of many of the Star Wars fan films out there, and I’ve written about the awesomeness that is the Fallout Nuka Break fan film series, but I’ve never been that into many of the Star Trek fan films. Many of them take themselves too seriously, and if it’s not that, then the production values just give me hives. Poorly fitted costumes, fabrics that aren’t even close, and designs that just don’t fit have given me fits, and caused me to turn off more than one video. Yeah, I’m a prop and costume snob. I thought we had already established this? So, recently, I’ve been Geeking out pretty hard on the Trek Geeks podcast, which I was introduced to thanks to our local band, Five Year Mission. 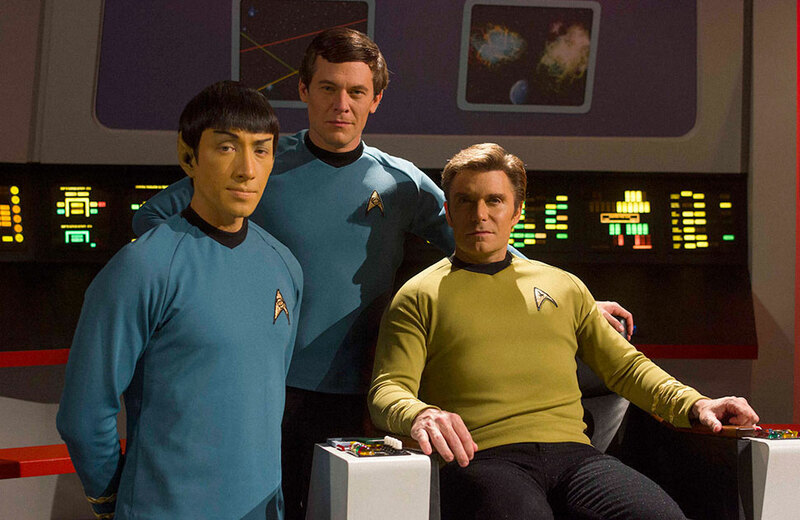 Bill and Dan have spoken very highly of a Star Trek project, called Star Trek Continues. 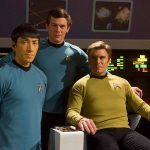 I will admit, I had heard of this series before, due to the involvement of folks like Vic Mignogna (who many know from voice acting, but I know as being obsessed with Obi Wan’s lightsaber when The Phantom Menace came out) as Captain Kirk, Grant Imahara (Mythbusters, ILM) as Lt. Sulu, and Chris Doohan (Star Trek 2009, Star Trek Into Darkness, son of James Doohan) as Scotty, but I had never really watched it. However, on a lark, we sat down to watch this a few weeks ago, and we have found ourselves having watched the six episodes currently released, and anxiously awaiting the seventh episode due out this fall. Episode 1, Pilgrim of Eternity – Apollo returns to wreak havoc on Kirk and the Enterprise in the first episode of the new series. Episode 2, Lolani – A survivor from a distressed Tellarite vessel pulls Captain Kirk and his crew into a moral quandary over her sovereignty. Episode 3, Fairest of Them All – In the Mirror Universe, Spock faces a choice that determines the future of the Terran Empire. Episode 4, The White Iris – Captain Kirk finds himself haunted by guilt from his past as the fate of an alien world hangs in the balance. Episode 5, Divided We Stand – Kirk and McCoy are trapped in time while an alien infestation threatens the Enterprise. Episode 6, Come Not Between the Dragons – A troubled creature pierces the Enterprise hull, pitting the crew against a pursuer that threatens to tear them apart. Now, this is a bit about it, and obviously I do enjoy it, but why? First, the cast. Every member of the cast does a fantastic job of not only capturing the character they are supposed to be playing, but also the feeling of the show. It’s not played as camp, it’s played with a seriousness, but also with a touch of fun and familiarity. By this point, we’ve already grown used to seeing different actors play these iconic roles, through the JJ-verse reboot films, but in this case, you have different actors playing these roles in sets, costumes, and roles that we have grown used to over 50 years, and they do it remarkably well! Not only are the old roles played well, but all of the new characters they’ve introduced, from ship’s counselor McKennah to security chief Drake, fit as well, and seem like they should have always been there. In addition, the guest stars they have brought in are incredible, and include the original Apollo Michael Forest, a different series’ Apollo Jamie Bamber, Lou Ferrigno (The Hulk), Gigi Edgley (Farscape), Colin Baker (Doctor Who), Michael Dorn and Marina Sirtis (Star Trek: The Next Generation)! All in all, the casting is outstanding. Next, is the appearance. It looks like the original series. I mean, it LOOKS JUST LIKE the original series. The set design uses blueprints for the original sets, and everything just looks right! The ship, while a CG Model (at least, it appears to me as one! I will gladly correct if I’m wrong! ), still moves like a large model on a pole. Even the lighting has that bright, crisp, well-lit look that became lost with Star Trek: The Next Generation and beyond, when everything became muted and moody. Finally, and most importantly, it’s how they are written and done. Each episode released on YouTube looks like it could be part of the line up on CBS in the sixties. They have their drama beats for commercial breaks, and each episode is about the length of an original series episode, ranging from 40 to 50 minutes. However, not only is it the length and the breaks, but it’s also how it’s written. You can tell the crew that works on these shows not only love the original Star Trek, but they also have a respect for it, and an understanding on how it works, and that shows in each one of these episodes they deliver. In addition, they have their message, which was a mark of the original series, and they have a great blend of seriousness and the comedy that was also present in many of the episodes, and is missing in many of the fan projects. Check it out, and let me know what you think! Remember: This is a fan project, in no way affiliated with CBS, Paramount, and everyone else that has a a stake in the financial pie. In fact, they are a recognized not-for-profit organization, so they are doing this for the love of the show, and being fans! Next week, Grant will make his return to Media Monday, talking about some of the folks he’s looking forward to seeing at Indy Pop Con on June 17th through the 19th! Can’t wait to have my dad watch them!! !